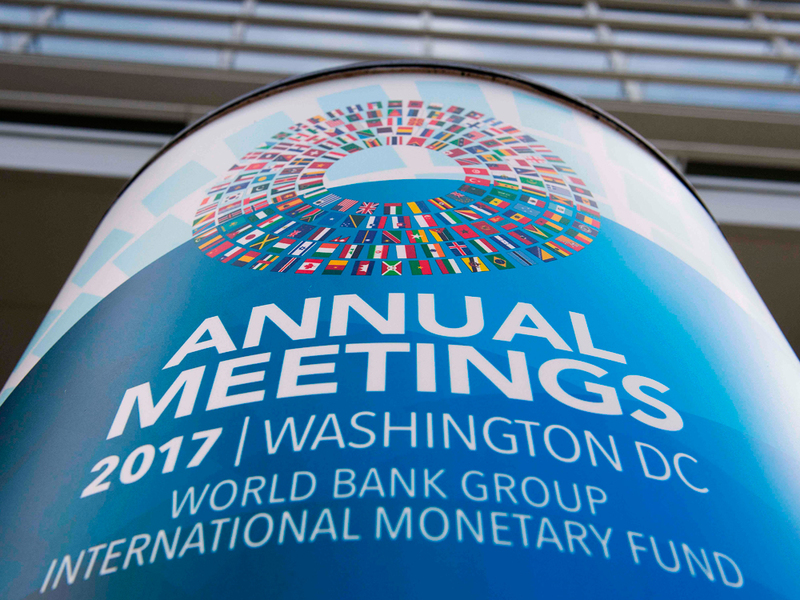 Today, finance ministers and central bank chiefs from around the world will gather for the annual meeting of the IMF and the World Bank in Washington DC. Over the past week, the IMF has released revisions to its biannual economic forecasts, predicting global growth rates of 3.6% in 2017 and 3.7% in 2018—the highest in a decade. The fund cited global increases in investment, credit supply and consumer confidence as the primary drivers of growth. But the IMF has qualified its optimism, stating that growth may be unsustainable given sluggish inflation rates and weak wage growth, especially in developed economies. More dramatically, the report warned that a strong global economic performance was contingent on a relatively stable geopolitical landscape. Should tensions from any number of crises—from North Korea to Ukraine, NAFTA renegotiations to Brexit talks—flare, shockwaves could be sent through the global economy, potentially creating another financial crisis. The Daily Brief app. Your morning guide to the day ahead.